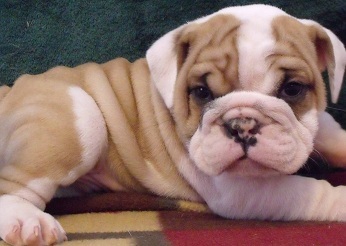 We welcome any inquiries about bulldogs in general and our puppies in particular. We are a home based business and are available the majority of the time by phone or email. 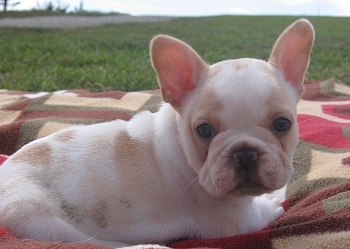 We have been breeding English bulldogs for 13 years and French bulldogs for 9. Our goal is to produce healthy well socialized puppies that will be a perfect fit for their new home. We strive to educate the new owner before their new addition arrives and are always available for questions afterwards. Adding a bulldog to your home is a very exciting time and we love to hear updates on how the puppy is doing and adjusting to their new family. Check out ourSatisfied customers webpage for all the cute bulldog pictures people have sent us over the years! English bulldogs and French bulldogs are so unique in their personalities; there are never two that look or act the same way. We just love how wonderful they are with children and are excited that our 3 year old daughter enjoys playing with them as much as we do. Bulldogs will play for 1 hour and then sleep for 2; they are ideal for any age of child and usually get along well with other pets. They tend to shed more as the seasons change but you will always notice some shedding. As puppies they tend to have more energy but as they age; getting them off the couch to go potty can become a chore. We love all of our bulldogs and enjoy getting to know the new families that they will be joining. Thank you for visiting our website and we would love to help you find your dream puppy. © Copyright 2007 Spring Valley Bulldogs - All Rights Reserved.